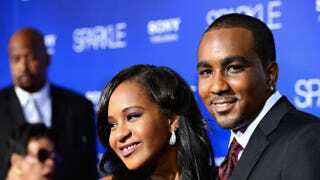 As his girlfriend, Bobbi Kristina Brown, clings to life in hospice care, Nick Gordon has hired a high-powered legal team to advise him. According to People, Gordon has hired Jose Baez, the attorney who won an acquittal for Casey Anthony in her 2011 murder trial. Baez has joined investigator T.J. Ward, who worked on the Natalee Holloway disappearance. The legal team's goal is to determine what happened the day Brown was found unconscious in her bathroom. "We do know that other individuals were present at the time of when the emergency personnel were brought in," Ward's executive assistant, Eli Benton, told People. "T.J. will be trying to establish who was present and what their role was." Medical reports showed that in addition to being unconscious, Brown also suffered lacerations to her face, as well as a missing tooth. Some suspect that Brown and Gordon had a fight before the incident. Last week, an attorney representing Brown filed a lawsuit against Gordon accusing him of domestic abuse and stealing money. One has to wonder if these attorneys are working pro bono, and if not, how Gordon is paying for them.